Shakespearean quotes about angsty princes, murderous relatives and pensive ghosts aside, I’ve recently been reflecting on the fact that when we say goodbye to this expansion, we’ll also be saying goodbye to a large number of plotlines and stories that took place in Draenor. Indeed, outside of Gul’dan, I cannot think of any other character from this alternative Draenor that will be joining us in Legion. In essence, it’s probably fair to say that the “Draenor-arc” is done with. Setting aside the obvious connection between demonic invasions on both Draenor and Azeroth, I’ve recently been taking stock of how engaging I found multiple plotlines during the expansion. What events or stories really stood out? Where did poor writing stand out and cast a pall on a particular quest? I even rewatched all the major cinematics from every zone, just to refamiliarise myself with some of the most climactic moments of each zone. While I could go on at length about my feelings concerning every major questline, I’ll stick to two that represent opposite ends of the spectrum for me. First, a positive note: I loved the majority of the Arakkoa-centric story in the Spires of Arak. I was particularly delighted to see that the Raven God, Anzu (who players were introduced to as a mysterious nemesis in the Burning Crusade) had his storyline fleshed out and explained. Next, a more critical outlook: Shattrath! 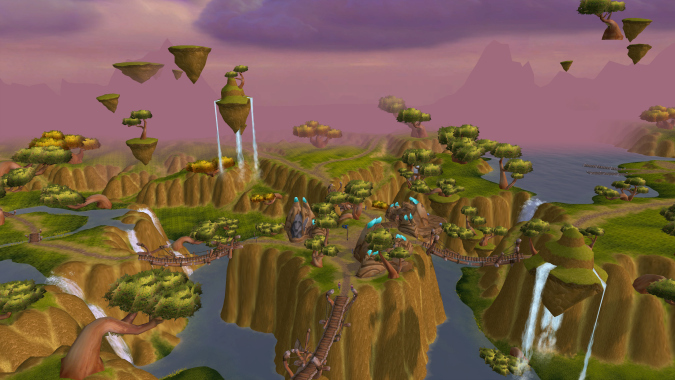 I was quite annoyed with the fact that the city that had served as such a fundamental hub of our experience in Outland was so very understated in Draenor. Indeed, I consider it to have been fairly poor storytelling that we never got to see how the Sargerei took over the city following the Iron Horde’s departure, not to mention that the city itself was largely unused outside of being the location of a few daily quests. What about the rest of you? What stories or plotlines did you enjoy in Draenor? Were there any particularly epic moments? What about instances where things could have been done better? Would you have liked to see certain plotlines redone? Let me know in your comments below.